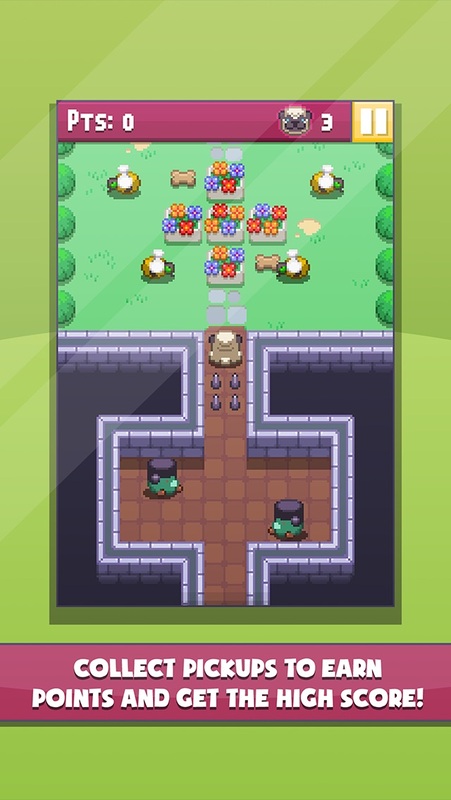 Discussion in 'iPhone and iPad Games' started by ravenousgames, Apr 7, 2016. 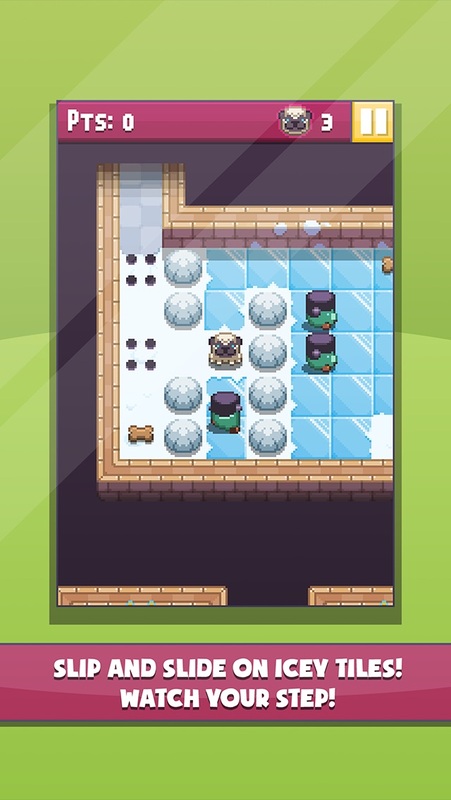 Pug's Quest is a puzzle platformer by the creators of Tiny Rogue, Devious Dungeon, Random Heroes and League of Evil! 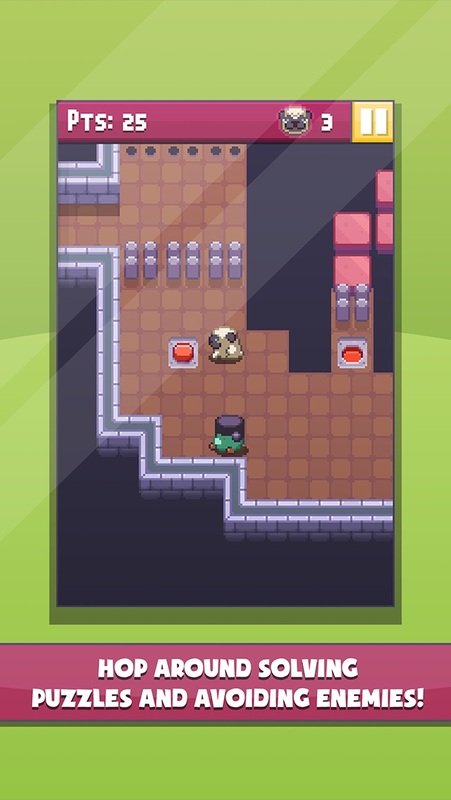 In Pug's Quest you will control a handsome pug on his adventure to save his friends who have been dog-napped.You must hop around these dangerous rooms, solving puzzles and collecting treats while trying to find them! 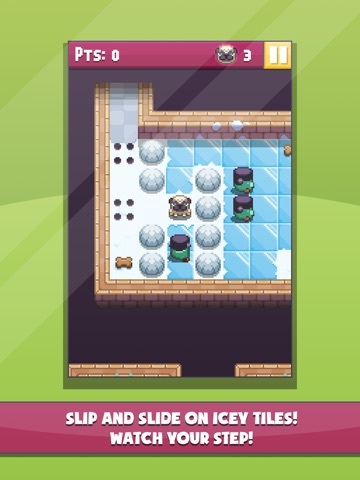 Can you get the high score in this pug-tastic adventure? Not crazy about pugs but I am crazy about Ravenous Games so this is a no brainer. Good luck with your launch! Are the room procedurally generated if it is randomized? 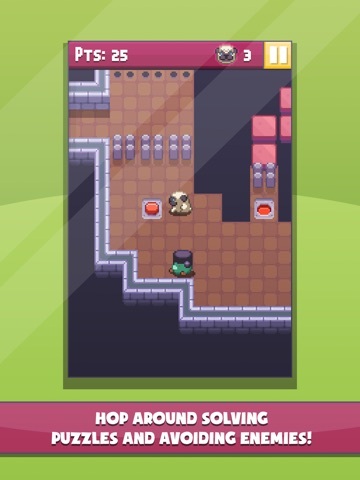 How are the puzzle elements randomized then? Another just take my money Dev! Yay! This is an exciting Wednesday so far. Ill give it a go because i like the dev. Maybe not the best Ravenous Games game, but entertaining nonetheless. 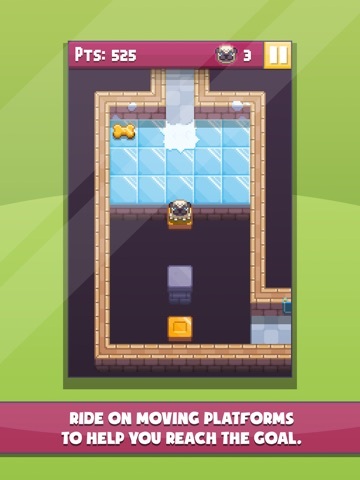 There's a bit of a Nitrome vibe going on. 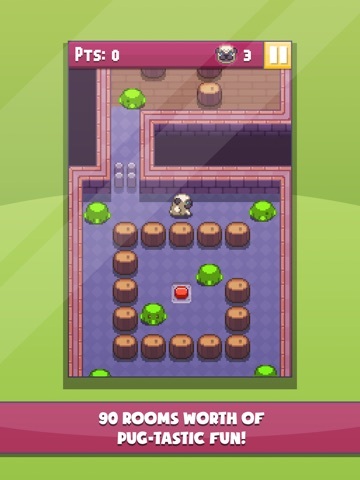 I'm not 100% sure how random the rooms are, I'm sure I've seen some rooms more than 1 time though. 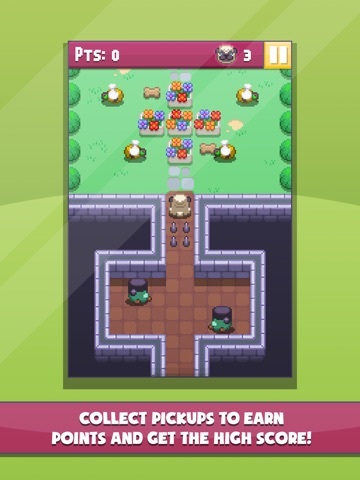 The description says there are 90 levels which are randomly ordered, which treads to me like the levels themselves are hand-built and not randomly or procedurally generated. Something like, well, Whale Trail? In honor of Rogue One... good call!!! Unlikely there will be a Tiny Rogue update. We have Paranormal Minis we are working on now and then Shadowstone. 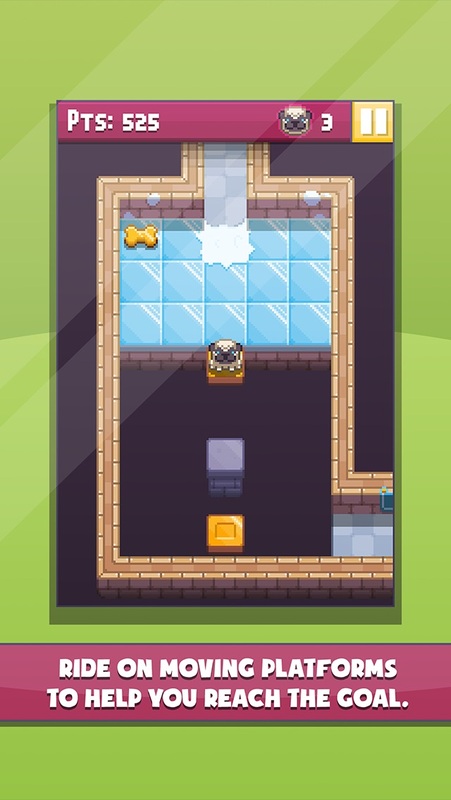 Perhaps someday we will look at Tiny Rogue 2 where we can add some new stuff. Thanks, good to know...I'm sure you're quite busy! 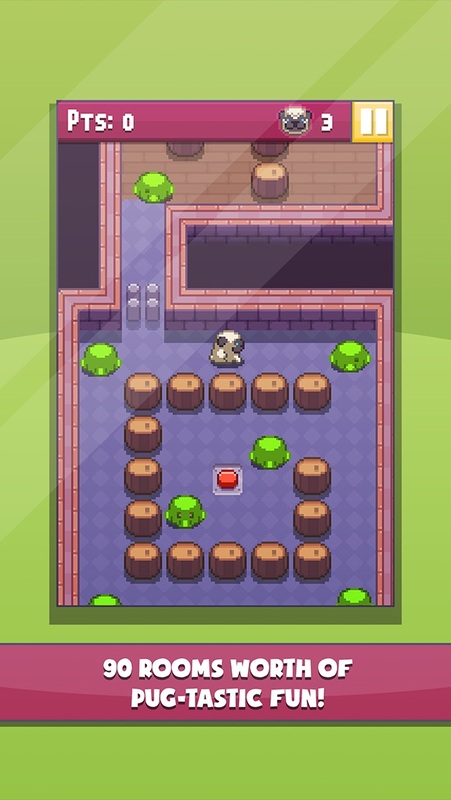 However, I impore that you reconsider because TR is a great little game with lots of potential for content updates to keep it going.... Small additions like more monsters, maybe new hero items and the ability to move faster and tap on the exit to leave. It looks similar to Rust Bucket. Did they work together on this project? That's interesting.